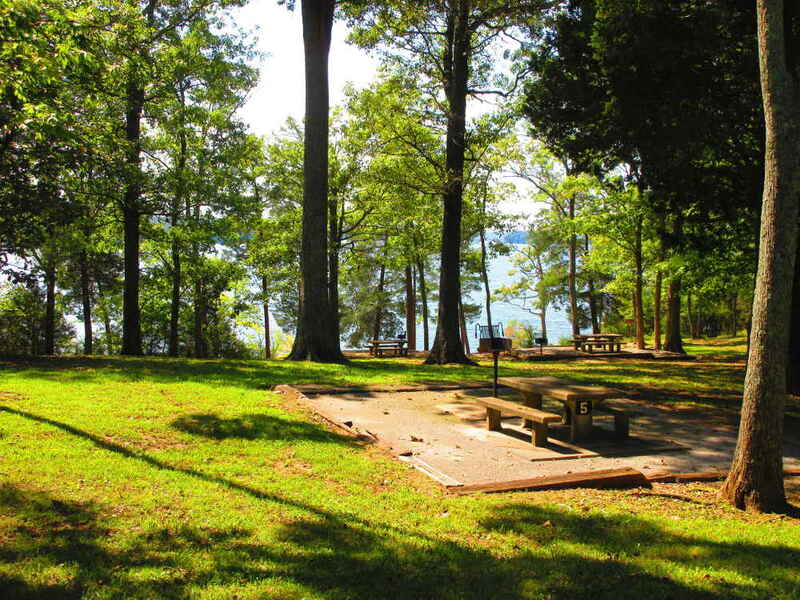 Seven Points Campground consists of 60 campsites suitable for tents or RVs on Percy Priest Lake. Every campsite has water and electrical hookups. Reservations are suggested. Camping rates are $24 nightly. Those who come to visit campers are charged an admission fee of $3 per day. 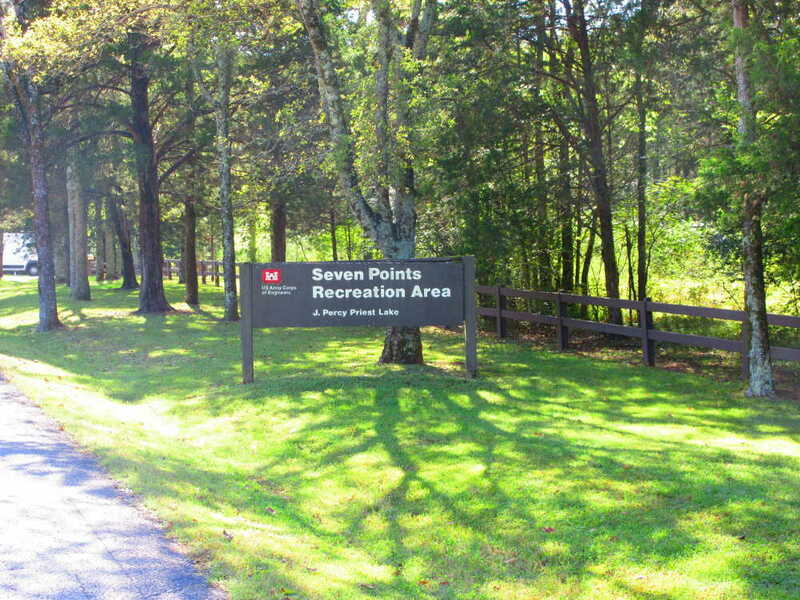 The camping season at Seven Points is from April 1 through October 29 approximately. Fresh water, laundry facilities, restrooms, trash collection, showers and a dumping station are available to campers and guests. Groups as large as 100 people can enjoy the large picnic shelters, which are available for rent. Children can enjoy the large playground at the campground. For easy access, there is a boat launch ramp. The lake is popular for jet skiing, wakeboarding, sailing, swimming, water skiing, tubing, canoeing, kayaking, fishing and rowing. An onsite swimming beach offers plenty of room for swimming and relaxing. Plenty of parking is available for campers and their visitors. The campground is a short distance from the recreational areas and the sites of Nashville. Visitors to the lake often partake of hiking, biking, wildlife viewing and many other opportunities available to them in the lake vicinity. This is one of our favorite campgrounds on the lake. 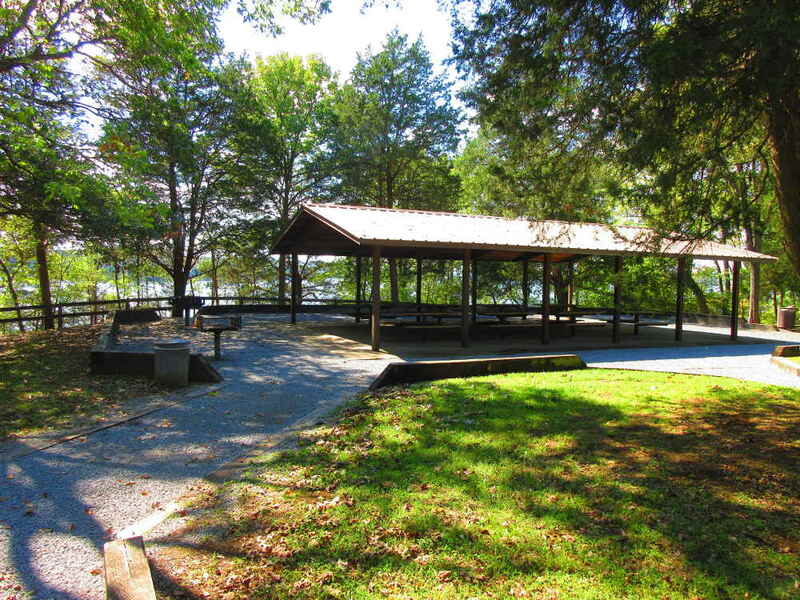 If you are looking for a fun weekend on Percy Priest Lake, please check out the Seven Points Campground and Recreation Area. Here is a really good Youtube video of the park. You can see many of the campsites and amenities within the lake here. Phone: (615) 889-5198 for more information or campground reservations. You can also reserve your campsite through ReserveAmerica.com. All prices are subject to change. Please check with the park directly for all official pricing. In order to make everyone’s stay a pleasurable one, below are some of the basic campground rules. For complete regulations, see the park attendant. Campsite occupancy: Maximum number of registered campers occupying one campsite is eight (8). Camping equipment is limited to two tents, or one RV and one tent, per campsite. All camping equipment must be on the impact area or pullout. Camper check out is 2 pm. Persons camping under age eighteen (18) years of age must be accompanied by an adult. Camping permits are not transferable. Campers may register only for the site they are to occupy. The gate will be closed at 10 pm each night and opened each morning at 6 am. Only emergency or authorized entry and exit will be permitted during these hours. Visitors must be out of the campground by 10 pm. Visitors are subject to all rules, regulations and restrictions. Camping limit is 14 days in any 30 day period. Quiet hours are in effect from 10 pm to 6 am. Unreasonably loud noise or audio devices are prohibited any time. Gray water and sewerage must be caught in a holding tank or other receptacle and disposed of at the dump station. No washing of vehicles or camping units is allowed. Confine fires to fireplaces or grills. Fireworks, firearms, explosive and projectile firing devices are prohibited. Keep campsite clean during occupancy and upon departure. Please use trash bag provided by Park Attendant and place all garbage in dumpster. Vehicles may only be parked on paved surfaces. Designated swimming areas are not supervised. Swim at your own risk. Do not swim at launching ramps. Any act or conduct that interferes with, impedes or disrupts another person’s use of the project (boisterous, rowdy, disorderly conduct, loud radios) is prohibited. Failure to abide by these park regulations and restrictions may result in legal action, expulsion, and / or forfeiture of fee paid.